Should you consider a cable crossover machine? Home gym equipment can be an ultra-effective way to build muscles, burn calories, and improve overall health. These machines have become popular for doing effective and flexible workouts. They also don't require a gym membership or personal trainer, which can be quite pricey. We'll be taking a close look at several issues related to cable crossover fitness equipment. That includes their benefits, features, and exercises. We'll also review some of the top products so you can pick one that best meets your fitness goals. 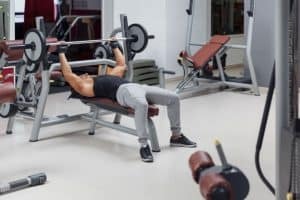 When sifting through the wide range of home gym equipment, it can be tough to decide which items you should add to your collection, and which ones you should pass on. One popular option is the cable crossover machine. This can include a Smith machine/home gym equipment with an attachment for cable crossovers. Another option is a stand-alone unit that’s specifically designed for these exercises. These machines tend to be big and bulky so why should you consider them? Let's get to the nitty-gritty of these machines. First, they're used for weight/functional training. These machines include a rectangular/vertical steel frame. There's a weight stack that's connected to a cable & pulley system that uses 1 or 2 handles. The cables that link the handles to the weight stacks run through pulleys that can be adjusted to any height. As a result, you can use the equipment to do a cornucopia of different exercises. One of the cables is connected to a steel bar that continues along the middle of the weight stack. A metal pin is used to adjust the amount of resistance. Meanwhile, the other end of the cable makes a loop. This lets the user connect the right handle for the exercise. The amount of resistance for cable machines is usually 20+ pounds. This counterbalances the average weight of attachments like Chin-up/Pull-up Bars. A major benefit of cable crossover systems is they put your constant tension on your muscles, and that's a good thing. How do these machines stack up vs. free weights? 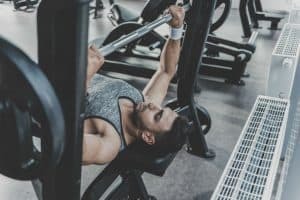 When using barbells or dumbbells, for example, the exercise's downswing movement reduces tension because you're working with gravity instead of against it. The upswing movement is tougher because gravity is opposing your arm's movement. The key is to boost the "time under tension." This explains why you should consider doing cable crossover machine exercises as part of your workout sessions. Is there a 100% chance you won't be injured using a crossover machine? That's not true. However, you're much less likely to be injured than when using options like free weights. This is due to various factors but mostly due to the exercise being more controlled/balanced. When that's the case, your workouts are less likely to cause injury. Let's consider an example. If you do traditional dumbbell flies, you have to balance each weight manually. Sure, you can achieve this goal to a certain degree but not as effectively as using home gym equipment like crossover machines. That's because the components like cables/pulleys make the exercises more uniform and thus less accident-prone. How big is the problem? A 2010 study showed that weightlifting-related injuries surged about 50% from 1990 to 2007. Several factors are involved, but it's advisable to take steps to reduce the chance of injuries. That includes options like crossover machines that help reduce risk vs. other options like free weights. As always make sure to take steps like using proper form when using such exercise equipment. Crossover machines give you a head start in that department. While using home gym systems won't eliminate the risk of injury they can certainly help to reduce it. That’s especially helpful if you’re injury-prone. When we think of exercise machines, we tend to focus on their ability to strengthen bodies. Lat Pull and Pull-up attachments on home gyms obviously can build muscles and boost strength. That said, don't forget about benefits like the ability to support bodies. This is just as important to help with issues like injury prevention and gains. It's these features that can help improve the overall workout you get. If you do heavy lifting like deadlifts, for example, you're much more likely to experience injuries than using a home gym for leg squats. Many people find machines for cable crossover workouts to be intimidating. That's mostly due to the big size of the units. Don’t worry! These machines can definitely be effective to help you increase lean muscle mass. In fact, you can often do tens of exercises using this single piece of equipment. What are your fitness goals? It might be to tone or build muscles. In both cases, cable/pulley machines can be effective for weight-resistance workouts. Weightlifters often focus on big muscle groups. Think about the process of scheduling arm, shoulder, chest, back, and leg "days" for example. This allows you to target the main muscle groups. Don't forget the minor muscle groups. You can take different approaches, but one is to do a major/minor muscle group split. Here's the good news. You can do a cable crossover machine workout for both major/muscle groups. This produces the best results since you'll be targeting both muscle groups every-other workout. When weightlifting it's always critical to use proper technique. Unfortunately, many lifters focus on 1-Rep Max (1RP) during each and every workout session. This is just a partial indicator of your overall strength. 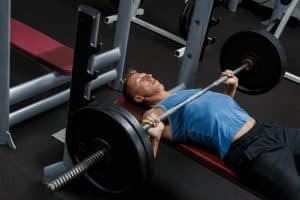 It's just as important to make sure you're using proper technique in order to boost strength/muscle gains. This helps to maximize the effectiveness of any exercise. What's the key? Any weightlifting exercise should include a slow/controlled motion in order to get the best results. If the repetition is overly fast/jerky, you won't get maximum results. You might get more reps in during your workout, but they won't be quality ones. The good news is cable machines don't place big limits on your range of motion vs. loaded/selectorized machines. However, it does promote good lifting technique. This helps you to maximize muscle/strength gains minus a visit to the doctor's office. If you're concerned about coordination issues, then you should certainly consider machines of the cable crossover variety. Less is needed so you won't have to worry about having the world’s best coordination. Since that's the case, it makes it easier to lift heavier weights. This is even possible if you don't want to "lift heavy." The mechanics of the exercise machines make it easier to lift heavier weights. This helps you achieve more gains. A big plus of crossover machines is it's easier to target muscle groups. This is one of the best ways to maximize gains and reach fitness goals. One of the most effective ways to boost strength/muscles is to do exercises that focus on major muscle groups. A crossover machine can help. Rows, Squats, Presses, and Pull-ups are some of the different exercises you can use with this exercise equipment. For example, Pull-ups focus on arms and shoulders while Squats focus on legs and back. In many ways getting a full-body workout is an exact science. One way is to do different exercises that focus on various muscle groups. A cable crossover machine is a key piece of equipment to help you accomplish your mission. You've probably seen commercials for 15, 10, or even 5-minute abs. What's the deal? Keep in mind that if something seems too good to be true, then it probably is. Yes, abdominal muscles are fairly small vs. other muscle groups in the arms, legs, back, and so on. However, the process of getting 6-pack abs isn't super-simple. First, keep in mind that there's no "spot reduction” of fat. In order to get 6-pack abs, you'll have to lower your body fat so the ab muscles will be visible, so there's that. That's just the start. You'll also need to do different exercises to work the upper, mid, and lower abdominals. Cable crossover units can help. They can work all core muscles including the abs, hips, and (lower) back. A key benefit of cable crossover units is they give you the ability to hit muscles from different directions/angles. This adds more flexibility to your workouts. 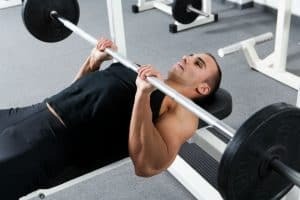 How important is this approach to muscle-building? Consider the process of using a Pull-up/Chin-up bar on these machines. They both work muscles in the arms, shoulders, and back. Then you can even switch up between close and wide grips. A wide grip will target the shoulder muscles while a narrow grip is better for chest muscles. Crossover equipment is a good all-in-one choice. This is an X-factor of sorts. If you do workouts day in and day out it can cause your exercising to get "stale." The results vary from low motivation to bad form. Cable crossover systems can help! They can add new life to your workouts by using new equipment and doing new exercises. Even if you've been weightlifting for several years or decades, this can be a big plus. In that case, sometimes it just takes a new piece of home gym equipment to get you on track again. When doing weight-resistance training, it's critical to minimize down-time between sets and exercises. This is another way you can boost "time under attention." Reducing recovery time during workouts is one of the most effective ways to boost Time Under Attention. Unfortunately, weight machines are infamous for actually increasing this figure. Here's why. It takes lots of time and effort to tweak machines for different factors like strength/height levels. When you have to spend lots of time between exercises doing this, it affects your gains. That's a bad thing! So what's the big deal about a cable crossover machine? The changes between exercises tend to be minor. You might have to change the handles or add/remove weight. These are relatively easy tweaks, so there's less time between exercises and thus less recovery time. You can focus on recovering after a laborious workout that pushes your strength and endurance to their limits. You can find tons of models that feature a warranty. This can include a comprehensive or limited warranty so make sure to learn which type is offered. Another big issue is how long the warranty is valid. Some warranties are good for 1 year while others are valid for 10 years or even the lifetime of the exercise equipment. Next, consider what's covered in the warranty. Sometimes different warranties are offered for various things like the frame, parts, and labor. You should also look for a money-back guarantee. Home gym equipment is a big investment so make sure you have the option for an exchange or refund if you're not happy with the product. These guarantees are often good for 30 or 60 days although they’re sometimes up to 1 year or so. 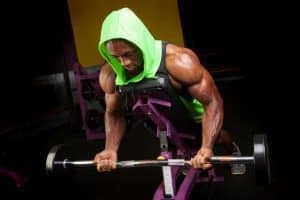 Do you want to do bicep curls, lat pull-downs, tricep extensions, and seated rows? Machines requiring cable crossover machine parts can be used for all these exercises. This provides different benefits. One of the main ones is one machine like a home gym system is you won't have to invest in several stand-alone units. The costs add up quickly and especially if you pick high-end units. Another plus is these attachments can make your workouts more efficient. Yes, you'll have to change attachments and add/remove weights. However, the process is still more efficient than moving to a different exercise station for lat pull-downs or pull-ups. If you're looking for a cable crossover system, this includes two main options. The first is a standalone unit that provides that functionality. Then there's a home gym/Smith machine with an attachment for doing cable crossover workouts. This offers more versatility since you can do exponentially more exercises. OK, it's fair to say that cable machines aren't quite as easy as using a dumbbell or resistance band. However, it's still quite easy to use. Yes, there are factors like whether you're using a standalone cable machine or complete home gym. That said, while many people are intimidated by cable/pulley machines they're generally much easier to use than they might seem at first. This is basic yet effective feature. Look for racks that store both standard/Olympic free weights for the best results. Consider the number of pegs/weights the rack can store for the best results. What's the big deal of this feature? A weight rack eliminates the need to purchase a separate weight-storage unit. Not only will that increase your overall investment but can also make your workouts less efficient. When picking a cable machine, these are easily some of the most critical components. Look for units that are made of quality materials/craftsmanship so you'll get the best results. In particular, you'll want well-built cables to extend the unit's lifespan. Another big issue is how smoothly the cables/pulleys work. Different companies have in-house tech and systems so make sure to research them so you'll know the best available ones in the industry. The cables and pulleys aren't the most exciting parts of exercise equipment, but they're easily some of the most important ones. Do your homework. Consider factors like ball bearings and bushings so you can choose wisely when picking a unit. This involves various factors, but it starts with the frame. Look for options like all-steel units with powder-coated finishes, for example. This adds ultra-high durability, extends the unit's lifespan, and improves the overall quality. Look for options like aircraft-grade cables. Research the cables' tensile strength so they'll be able to withstand heavy-duty/long-term use. The figure should be high like 2,000 lbs. to get the best results. As when buying other gym equipment make sure to set a budget before shopping for a cable crossover machine. Just as importantly after setting a budget—stick to it! This will help to prevent needing to take out a second mortgage. What factors determine the price tag of this equipment? There are tons. They include the brand, materials, features, attachments, warranty/guarantee, etc. All these factors and more affect the price point. Cable machines offer not only different numbers of exercises but also different types. Take some time to figure out your fitness goals. Do you want to build lean muscle? Would you like to fix imbalances between your left & right arms? Do you want to boost your flexibility? As when picking other exercise equipment the oldie-but-goodie saying "safety first" should apply. This involves the particular specs/features of different models. Are there any red flags? As with other features make sure to research the particular safety features offered by a particular manufacturer. A fancy name doesn't mean a particular piece of exercise equipment is actually safer. If it's undergone independent testing and received a thumbs up that's a different story. When picking a model, it's highly advisable to consider well-known brands like Bowflex, Body-Solid, and Valor Fitness. These companies have established themselves as industry leaders, so they're wise options. How about off/generic brands? You can save tons of money by picking these companies but take that step at your own risk. Here's why. If you go with such companies, you're more likely to deal with problems like low-quality products and bad customer service. Those are definitely situations you'll want to avoid like the plague. Size matters when picking a gym cable machine. The general size/height of this equipment is quite high. So before you start shopping make sure to determine how much space is available in your home gym. A big footprint might rule out certain units for small home gyms. Weight is also a factor since you'll want a unit that can be installed relatively easy. While a sturdy model is heavier, you should consider whether or not it will affect how easy/difficult installation will be. The price also depends on the type of equipment you pick. You can find several stand-alone cable crossover units in the under-$500 price range. On the other hand, home gyms and Smith machines with this feature can cost several thousands of dollars. How can you reduce the total cost? Look for online sales/discounts/promotions that are frequently available at online retailers like Amazon. Online shopping also makes price comparisons easier. Subscription services like Amazon Prime offer price-saving perks like free shipping. You can find functional trainers and home gyms that allow you to do dozens of cable crossover exercises. One factor is whether you pick a standalone cable crossover unit or a home gym, for example. Another factor is the number of attachments that are bundled with the machine. If it's loaded with ones like row/lat/pull-up/tricep/curl bar, this factor alone exponentially boosts the number of exercises you can do with one machine. ANKLE/WRIST STRAP: This provides extra support to the joints when using the machine. They're also effective for preventing your feet from sliding. ANKLE BAR: Cable crossover machinery works the upper body, but some units can also be used for lower-body exercises like leg curls. This sometimes requires a leg bar attachment. LAT BAR: Lat pull-downs are a great exercise for pecs. The wide-group variation works the shoulders better for a better upper-body workout. This attachment is the one you'll need. PULL-UP BAR: There's no question pull-ups and chin-ups are some of the best body-weight workouts you can do. Look for machines with multi-grip bars. This allows you to do close/wide-grip pull-ups and chin-ups using the same attachment. ROW HANDLE: This is an outstanding exercise for an upper/lower-body workout. The row handle attachment allows you to turn your home gym into a virtual rowboat. Fun Fact: While rowing is a good upper-body exercise, serious rowers consider it a lower-body workout first. SINGLE-GRIP HANDLE: Sometimes one hand is better than two! When you want to isolate one arm a single-grip handle is a must-have attachment. You can work both arms equally to get the best results. STRAIGHT/CURL BAR: The weight/shape, and hand position of these two bars distinguish one from the other. That said, they're both effective for making your workouts more effective and efficient. While weightlifters often focus on bicep exercises, it's critical not to forget the triceps (or forearms). In fact, the tricep muscles are actually larger, so it's important to work the muscle groups to achieve good muscular balance. This is easily one of the biggest factors in terms of different factors. For example, some units include two weight stacks so two people can use the home gym at one time. This is a great option for applications like couples who want to get in shape together. Then there are the exercises themselves. Which ones do you want to do with the equipment? Do you want to lift heavy? If you're a new/casual weightlifter, then you won't need a huge weight stack. On the other hand, if you're a powerlifter or bodybuilder, then it's a big issue. Keep arms straight and bend knees/rotate hips while pulling the rope down/across the body. Continue this until hands are a little outside right knee. Grab the pulley cable's handle using your left hand, and use your right hand to grab the other high-pulley cable. Push the ground away/return to starting position. Repeat using other leg while core stays tight. Keep the weight stack on your left and use your left hand to grab low-pulley cable's handle. Connect a rope handle to low pulley cable. Then use both hands to grab the handle. Face the weight stack with the elbows bent and hands beside the torso's side. Bend your hips/knees to lower your body while allowing the arms to straighten out in front of you. Reverse the movement to the starting position when your thighs become parallel to the floor. Body-Solid has been producing exercise equipment for nearly three decades since 1989. Its brands include Powerline, and its product lines include gym systems, cardio machines, and free weights. This home gym equipment has a sturdy design/construction including extra wide/tall mainframe. As a result, you can do a wide range of high/low-pulley exercises using the same equipment. The pulleys are constructed of high resin. This helps to extend the lifespan, which is critical due to their function for doing crossover exercises. The PCCO90X works nearly all muscle groups of the upper/lower body. This adds value to the unit since you won't have to spend money on tons of exercise equipment. You can instead use the crossover machine. This adds value to the machine since you can save a small fortune on exercise equipment. The big-diameter pulleys offer smooth operation and help to extend the cable life. These are some of the most important components of the machine so it's a plus when you can significantly extend the lifespan. The PCCO90X can be used for different exercises for coordination and balance. When planning an exercise regimen, these areas are just as important as boosting strength and muscles. If you have a home gym program, you can benefit from this equipment. Even if you haven't started a program yet, this is good equipment to launch a program. The PCCO90X includes fixed high/low pulleys. You can use 1 or both handles for high-pulley exercises. The low pulleys are good for leg curls, bicep curls, leg adduction/abduction, etc. You can even use accessories like a stability ball. This exponentially increases the number of exercises you can do with this equipment. The unit's nylon bushing technology and sealed ball bearings help to provide smooth movement. It's in-house tech designed for Body-Solid machines. The pulley system offers 180-degree movement in all directions. This provides full range of motion and allows you to use the same equipment for numerous exercises. This adds value since you'll spend less money on more exercises. You can use both standard and Olympic plates. This adds more versatility based on which style you prefer. It's important to note that these items are sold separately so you'll have to spend some extra money to secure them. Another big plus of this machine is it's backed by the company's 10-year warranty. This covers the frame for a full decade and all other parts for 1 year. Make sure to read the terms & conditions, so you'll know what the warranty does and doesn't cover. The Powerline machine lets you add in-house equipment like the PFID130X or PFID125X bench. There's also the GCA2 for doing pull-ups and chin-ups. They can easily be integrated with this equipment for a cable crossover machine workout. IMPEX. It was founded 35+ years ago in 1982. It produces fitness products for several fitness equipment companies like Marcy. The company focuses on producing high-quality products at affordable prices. A key benefit of this Smith Home Gym System is the all-steel construction. It includes a heavy-duty steel frame that's reinforced with a powder-coated finish. This boosts the overall quality/lifespan of the unit. A Smith machine's frame is one of the most important features since it supports the exercise equipment. The cable crossover fitness equipment also includes durable aircraft cable with a high-end tensile strength (2,000 pounds). This helps to ensure long-lasting use, which adds value to the machine. This Marcy machine is a comprehensive training system. The arm/leg stations give you the ability to strengthen various upper/lower muscle groups. This provides various benefits, but one of the top ones is value. You can use this all-in-one station instead of purchasing several pieces of exercise equipment. That's an option that can add up quickly to big bucks. Another benefit is the linear bearing that's designed to provide smooth operation. This helps to prevent issues/problems during your workouts. This heavy-duty machine can save you a small fortune vs. gym memberships paid every month. Over time the unit can even pay for itself after several years. Dual-action press arms let you do a wide range of arm/chest exercises. This can help you develop a wide range of muscle grips including: biceps, triceps, and pecs. It's a key feature that offers more versatility to your workouts since you get more bang for your buck. This is even true with the under-$1000 price range. The key is to pick a workout machine that minimizes other pieces of exercise equipment you'll need. You can also do tons of exercises with the dual-action leg developer. This offers 6 rocker pads and curl/row bar. It helps you target various muscle groups. The pivot point helps to maintain good form when doing your exercises. This is always important along with full range of motion to get maximum gains from your workouts. When it's "leg day" this Marcy home gym is effective since you can get a good lower-body workout. The leg developer is effective for working your quads, hamstrings, and glutes. The Marcy Home Gym System is bundled with an Olympic-style free-weight rack. This is a perfect tool for powerlifters and bodybuilders. This adds value since you can easily do strength training using one workout station. You won't have to purchase/use other equipment, which saves you time, effort, and money. You get 6 weight plate pegs that are integrated into the home gym's frame. You can easily organize all your barbells/weights on the Smith machine for easy access. As a result, you won't need extra equipment for weight storage. It frees up money for other things—including metal weights. The unit's diamond-plated foot brace is another perk. It helps to make sure your feet are secure when doing rowing exercises so there's less chance your feet will slip, which can affect the effectiveness/safety of your workout. If you want added support for particular exercises can use the Marcy MT-3 Barbell Pad, which is sold separately. Barbell exercises are especially useful for issues like improving balance. Ground Zero Design was founded nearly two decades ago in 1999. It's headquartered in the US state Colorado. This strength-training equipment is made of durable 7/11 gauge tubing. It provides support for a maximum of 350 pounds and adds high-end durability. In most situations, this provides more than enough support for your training/weight-lifting. A finishing touch is electrostatic powder-coating to add an extra layer of durability. It adds extra durability and helps extend the home gym equipment's lifespan. There's also a 3:1 cable ratio for providing big cable travel for smooth resistance and a full range of motion. These features are both important for getting the best workout possible. ​The bottom line is the FreeMotion unit is built to last and even withstand heavy-duty use. This is critical if you do frequent workouts to help ensure the under-$4000 equipment is long-lasting. You'll want to protect such a big investment. The FreeMotion Dual Cable EXT Crossover is loaded with features like weight stacks, swivel pulleys, and rotating arms. You can use one piece of exercise equipment vs. several pieces, which can save you tons of money. The swivel pulleys provide smooth cable travel and offer a full range of motion. This is critical to provide you with the best results during your workout. Each of the machine's rams turns vertically within 12-inch settings and horizontally within 9-inch settings. This helps to accommodate any movement pattern for different exercises. ​Another key feature of the arms is they can be positioned easily due to the being counterbalanced. This saves the user time and effort. This exercise equipment is designed for a complete/flexible workout. This allows you to use the same equipment to do a cornucopia of exercises for a complete workout. It prevents the need to use lots of equipment or spend money on a gym membership every month. Due to the flexibility of the Dual Cable EXT Crossover, this makes it easier to customize your workouts. For example, you might want to focus on strength/cardio training, or focus on the upper/lower body. The unit's versatility makes it easier to design a workout program to reach your fitness goals. This crossover equipment also allows two people to do workouts simultaneously. This is due to the 2 independent weight stacks with a weight of 210 lbs. each. This is a great feature for applications like workout buddies. The FreeMotion offers a lifetime warranty for the frame. There's also a 1-year warranty for parts and 90-day warranty for cables/labor. This provides lots of coverage and in part justifies the high-end price tag. This cable crossover machine for home includes a warranty and money-back guarantee. This guarantees you'll receive the equipment with all the components and intact. If there's any defect/ damage, the company will ship an entire exercise bike or replacement parts due to the damage/defects. If you're still not 100% satisfied, you can still get a full refund if that's what you want. Ankle cuffs are bundled with the home gym equipment. This provides support for lower-body exercises. They help to boost effectiveness and safety when doing lower-body exercises. XMark Fitness produces products like cross-training machines, power towers, and free weights. It was founded in 2010 and is headquartered in the US state Louisiana. The XMark XM-7626 features a heavy-duty frame made of 11-gauge steel. This helps to ensure the best functionality when using equipment and helps to extend the unit's lifespan. The pulley system and pull-up rig are also made with commercial-grade materials/craftsmanship. This not only helps to provide better durability and safety but also extend the unit's lifespan. The XM-7626 is arguably one of the most flexible pieces of home gym equipment on the market. In fact, it's good for just about everyone in your home regardless of their height, weight, and age. This provides more value since it reduces your total investment in exercise equipment. When you have to buy equipment for different age levels of heights, for example, the total cost can add up quickly. If you want to target different muscle groups, then the XM-7626 is a good option. It's great for iso-lateral movements, so you and target/isolate different muscle groups. This can be tough but is certainly easier with this equipment. A pull-up bar lets you use the XMark machine for pull-ups/chin-ups. These are great body-weight exercises if you want to strengthen your shoulders, arms, and back. A key feature is the dual 200—lb. weight stacks. This is a plus since it allows two people to use the cable crossover machine at one time. Waiting for anything in a household can be tough—including exercise equipment. The pulleys are quick-adjust and have 19 settings that are spaced out at 3.5-inches each. A home gym's pulleys are among the most important components, so it's important to consider their form and function. The XMark cable machine delivers in this area. This provides you with everything you'll need for workouts on the XMark Cable Machine. All of these accessories provide benefits that can make your workouts better. Do you need all of these items? The main benefit is all the accessories are available so you can use them as necessary for your daily workouts. Another plus is these items can be quite pricey if you were to purchase them separately. So they add value and convenience since they're bundled with the home gym equipment. The machine's accessories can be easily swapped in/out. This reduces downtime so you'll have more time for your weight-resistance exercises, which in turn helps to maximize strength/muscle gains. The Functional Training Center features 11-gauge tubing, which adds to the unit's durability and extends its lifespan. These are both factors you'll want in a home gym system to get the best results for your workouts. A tubing's gauge is critical because it's related to the unit's thickness. So when considering this figure for a home gym, for example, a high number is critical to provide more strength and durability. The tubing's thickness is also a key factor in terms of safety. You might not need all the available bells & whistles for Training Centers, but you should never skimp on safety issues like durable materials. This Body-Solid unit includes nylon pulleys that are fiberglass-reinforced. This material provides the features of high durability and light 4wweight. The pulleys are some of the most important components on a home gym so make sure they're durable to provide smoother functionality. Besides the frame, the cables are also critical in terms of a home gym's durability. This Body-Solid unit features steel aircraft cables with a 4.8mm-diameter. A key safety feature of this Body-Solid unit is the universal attachment connections that lock. This helps to ensure safe and effective use when operating the home gym. Besides that, the cables are rated to 2,500+ pounds. This is a sky-high figure helps to ensure you'll get outstanding results in terms of the cables' durability and functionality. The Functional Training Center also includes 180-degree cable positioning and 20 height adjustments. This is a big plus in terms of the variety of exercises you can do. For example, the height adjustments make tweaks easier for different user heights and exercises. So whether you have a short, medium, or tall height, it will be easier to get in a full workout. The 180-degree cable positioning also provides a big plus in terms of your exercises. The reason it provides a full range of motion. When weightlifting this is one of the most important factors that maximize strength/muscle gains. Securing the right equipment is important since it affects whether or not you can achieve that goal. There's a weight stack of 160 pounds. If you're doing powerlifting, then this won't provide the functionality you need. However, if you just want to do some basic lifting to get into shape, then this home gym is a wise choice. The Functional Training Center features a vertical carriage system. It provides better functionality and makes the Body-Solid unit a good option. The frame components are precision-fitted. This boosts the form and function of the frame, which is one of the most important components of any home gym. Think of the frame as the "foundation" of the system. The Body-Solid system includes rubber handgrips/handles made of high-density foam. These units can improve your workouts by providing you with a strong grip whenever doing your exercises. The unit also features molded foot caps. This helps to protect the surface where the Functional Training Center is installed. Valor Fitness produces a wide range of strength and cross-training equipment. The company was founded over a decade ago in 2006 and is headquartered in the US state Florida. Valor Fitness offers 400+ products so you can likely find the ones you need for your workouts. The equipment can be used at your home gym, on the go, etc. The company's products include various items to add to your BD-7 including accessories and bumper plates. The BD-33 starts with highly-durable 12-gauge steel. The triangle frame is designed to handle maximum loads and boost safety. Durability is also provided with the Safety Bars, Solid Steel Chrome Bar Catch, and Pewter Paint. You also get extra support with the rubber base caps. These work effectively on any surface, so it doesn't matter where you install the unit in your home or commercial gym. The BD-33 features a heavy-duty power rack with various accessories. They include: Lat Pull, Chin-up Bar, and Cable Crossover attachments. These often aren't included with cheap cable crossover machine, so it's a plus. These items can add more versatility to your workouts. For example, the Chin-up bar can be used for either chin-ups or pull-ups. These two exercises are outstanding body-weight exercises that are quite challenging yet effective for increasing upper-body strength. They produce an outstanding workout for the arms, shoulders, and back. The Lat Pull is another effective upper-body exercise and targets the shoulder. It also effectively works the chest and arms, which is a plus. The crossover machines also work various muscles. The key one is the lower chest, which helps supports the shoulders and back. This product includes all of the features of the BD-33 along with others like Lat Pull, Chin-up Bar, and Crossover Attachment. So if you're looking for better value, this is a great option since it includes some extras the BD-33 doesn't. The unit contains storage pegs at the rear of the home gym for standard plates. This allows you to store them efficiently and avoid needing to purchase a separate storage unit for the plates. This adjustable cable crossover machine includes a Cable Crossover attachment that features a double bar track and pulley system. It adds more versatility can you can do cable crossover exercises using this machine. It lets you do some popular exercises that give your chest in particular. Another plus is you won't have to purchase a stand-alone machine for cable crossover-workouts. This would add to your total investment. There's a better way, and that's to pick a home gym like this one that's already bundled with an attachment for those exercises. The Lat Pull Down Attachment includes two lat bars. They include a 20-inch accessory Lat Bar and standard 38-inch Lat Bar. This offers more versatility since you can use either bar for different exercises. A key feature of the cable crossover feature is you can attach the cables to the front or back of the unit. Here's why. This option adds more versatility so you can use the home gym as efficiently as possible. The BD-33 offers a 3-year warranty that covers the frame. There's also a 1year warranty for the hardware. The home gym supports high max. weight. That includes 500 lbs. if using bar catchers outside the cage, and 650 lbs. for bar catchers inside the cage. The weight limit is 800 lbs. for safety bars. The power rack's accessories include the Lat Pull, Chin-up Bar, and Cable Crossover attachments. Crossover machines provide a good workout for the bottom chest. This body part is important for supporting the shoulders and back. What's the big deal with all these accessories? Since they're bundled with the home gym, you won't have to spend big bucks to buy them separately. All of these accessories add value, so it's highly advisable when buying a product they're already bundled in. Yukon Fitness is a maker of fitness products. It's headquartered in Cleveland, Ohio (USA). It produces a wide range of equipment like home gyms. The Yukon Fitness unit is ultra-wide. This provides full range of motion, which in turn offers better results in terms of strength/muscle gains. If you want big gains, a full range of motion is critical as well as "time under tension." The unit has a weight capacity of 250 pounds. 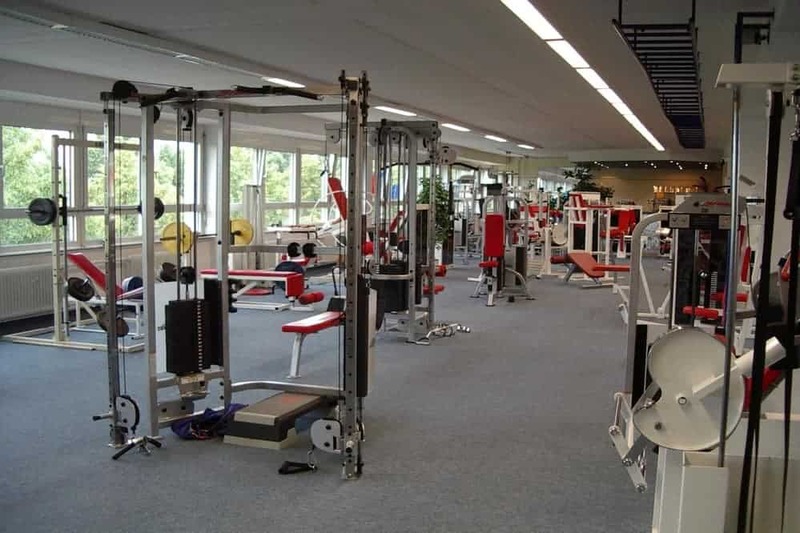 This is relatively high and helps prevent possible issues related to the home gyms with lower weight capacities. This unit is effective for both Hi/low Pulley exercises. That's due to the 180-degrees of movement. This helps boost the number of exercises you can do using this unit. It also allows you to do exercises with full range of motion. This, in turn, provides optimum results vs. machines that don't offer this feature. The crossover machine also features a chin-up bar that's built-in. Chin-ups and pull-ups are outstanding exercises for building your upper body. In fact, it's even possible to get a good workout by using just your body weight. 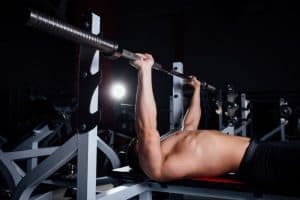 Are chin ups or pull ups more effective? Both of them can increase your upper-body strength. The difference is the muscle groups they work. What's most critical is the chin-up bar is bundled with this home gym. The added value prevents the need to purchase one separately, which would add to the total investment. The unit's pulleys feature 14 adjustable height positions. This offers more flexibility about the number of exercises you can do using this machine. You can also use standard or Olympic weights using this Yukon Fitness unit. It's a plus so you won't have to replace all your Olympic weights before using the machine. This is definitely a plus since it would be costly to purchase tons of weight due to compatibility issues. The Yukon Fitness machine is silver. It's a basic color yet still very functional. On one hand, form should follow function when picking a unit for cable crossover machine exercises. That said, you definitely wouldn't want to pick a unit that would be an eyesore in your home gym. It's important to note that weights aren't bundled with the cable crossover machine. This is a drawback, but it's also reasonable since the price range is $1000-$1500. The cable crossover machine is also bundled with 2 cable handles. They're constructed of sturdy chrome, so they're built to last. The handles add value to the machine. If you purchased them separately, you probably wouldn't have to take out a second mortgage. That said, it's still a plus they're bundled with the unit, so you get more bang for your buck. The Valor Fitness BD-41 includes a heavy-duty main frame. This boosts the durability of the unit and reduces the need for cable crossover machine parts. Repairs can be quite costly and especially when you have to buy multiple replacement parts. This unit is made from sturdy 12-gauge steel. It also includes frame supports so it can withstand heavy loads. You can also load weights more easily due to more stability. There's also 8-inch solid-steel weight bar supports that are adjustable. This boosts the machine's value since it adds extra support to the crossover machine. There's also a Solid Steel Bar Catch/Safety Bars. These provide accents to the unit's Pewter Paint, which adds an extra layer of durability to the exercise equipment. The BD-41includes 26 variable positions that can be used for bar supports and accessories that range from 16-inch to 67-inch. This provides the unit with more versatility, which is critical with any home gym equipment. You can find band/strap peg holes that are located along the top and bottom. This is another feature that adds more flexibility to your workouts. The multi-grip pull-up bar allows you to do pull-ups and chin-ups using the same bar. This boosts the overall functionality of the crossover machine. Here's why this adds tons of value to the unit. Bodyweight exercises provide various benefits and can be just as effective as lifting with Smith machines or free weights. The BD-41 also features a pair of squat safety bars, which allow you to do leg squats more effectively. This is a key feature since squats are one of the best leg exercises you can do. Another plus is you won't have to purchase a stand-alone squat rack. This can be somewhat costly, so it's a plus when it's already bundled with the adjustable cable crossover machine. A squat rack can be quite pricey based on various factors. The BD-41 prevents the need to invest in one, so you'll have more money for other priorities. This unit includes 4 pegs for plate storage. This makes it a piece of cake to store the weights for your crossover machine. This adds value to the equipment since you won't need an option for stand-alone storage. The cable crossover fitness equipment is bundled with a 3-year warranty for frame and 1-year for hardware/popper pins. Rubber base caps provide extra support when the machine is placed on any type of flooring. This Valor Fitness unit also includes a Lat Pull attachment. This boosts the number of exercises you can do with the equipment. Lat Pulls offer a great workout for your lower chest. It also prevents the need to purchase a stand-alone lat machine. Adding more home gym equipment might seem like a good option at first. However, the costs can add up quickly. So a better option is to consider machines like the BD-41 since the Lat Pull attachment is already bundled. A major benefit of Caribou 3 is it offers good durability and innovation while also offering an affordable unit. This provides the best of each feature. This home gym offers a high-end Smith carriage system. That's because iolite bushing moves over solid chrome rods, which offers a piston-like action that's superior to all square carriages. The carriage is instantly locked into any safety catches when the wrist returns. Caribou 3 includes safety rail spotter arms and dual bar holders. The Caribou 3 offers a good option for both free weight and Smith machine exercises. There's no question Smith machines are popular, but as with just about everything else they have pros and cons. Smith machines can provide some benefits worth noting. They include a more isolated workout, Smith machines can also provide a safer workout in certain situations. Meanwhile, Smith machines also have some drawbacks. They don't train the stabilizer muscles, for example. Smith machines also lock you into an awkward range of motion, which can cause various issues. This makes the Caribou 3 a good option. You can enjoy the benefits of both free weights and Smith weights. This maximizes the benefits you can experience when using the Yukon Fitness machine. The Caribou III is a good option for a wide range of exercises. That includes dips. This is a great bodyweight exercise that targets your arms, shoulder, and back in particular. Dips are quite varied, and you can find tens of variations to do. It's an old-school yet effective exercise since it requires your arms to support your entire weight. The home gym is also a good option for preacher curls. This is an isolation exercise that targets the biceps. Why should you be doing preacher curls? Bicep curls are one of the best exercises for big biceps. You can start with bicep and hammer curls, for example. It's also a good idea to do some sort of isolation exercise also like preacher curls. Even preacher curls include variations to give you the best workout possible. This home gym equipment also includes a "Pec Dec" or machine fly. It's based on the chest fly. This Yukon Fitness equipment offers a version that offers more balance vs. the original exercise. A cheap cable crossover machine also gives you the ability to do cable crossovers. This is a good general exercise for the upper body but is especially effective for building pec muscles. The Pec Deck keeps the hand/arm in an arc and the elbow at the same angle. This helps you maintain good form when doing the exercise, which is always important. A key feature of the Caribou 3 is it combines the benefits of a Smith machine and free weights. On one hand, free weights can provide several benefits vs. Smith machines. This includes the feel of lifting them. That said, there's also the safety that a Smith machine provides. This Yukon Fitness unit combines the best features of both units with a self-spotting machine. The Caribou 3 offers good aesthetics for the price point. High durability is one of the fortes of the BD-7. It's made of 12-gauge steel. The in-cage working space provides an outstanding space for your workouts. You can adjust how much stretch you get during your workouts with the pulley system and 17 adjustable positions. This adds more flexibility to your workouts so you can literally take it up a notch when you're ready. This machine can be used for cable crossover machine exercises, which adds value vs. other exercise equipment on the market. The BD-7 also offers other features like Chin Up and Lat Pull Attachment. These attachments provide a full upper-body workout. For example, crossover machines target the chest. Lat Pull attachments focus on the lower chest. Then there are Pull-up/Chin-up bars, which offer good workouts for your arms, shoulders, and back in particular. You can get more stability with the double bar track. This provides smoother movement and higher stability when you use either standard or Olympic plates. More stability is a good thing and will help to avoid various issues. No single exercise provides the "perfect" upper-body workout. That said, the BD-7 achieves that goal through different attachments. The key is to do a wide range of exercises so you can target different muscle groups. You can use different accessories with this home gym to get a solid full-body workout. They include adjustable pulley extension, low row/curl bar, and lap bar. You can find different versions of the BD-7 that include various accessories. They include crossover attachment, chin-up bar, and lat pull attachment. This allows you to pick the item with the accessories you need. It's always best to be on the safe side and pick a unit that has attachments you might use in the future. The BD-7B works with standard and Olympic plates. This provides more versatility and is a plus if you already have one or the other type. In that case, you won't have to worry about spending money to replace the plates you currently have. You can find 2 storage pegs on both sides so you can store standard and Olympic plates. The squat bar holder has a 500 lb. capacity. Squats are easily one of the best lower-body workouts you can do. This feature prevents the need to purchase a stand-alone squat rack. Each unit includes 2 single adjustable handles. This is a plus since you won't have to spend extra money on these items. These items add value. So it's always a plus when such items are bundled with the home gym equipment, so you don't have to spend extra money. Assembly takes a few hours. The BD-61 is quite durable, which helps to extend the lifespan of the unit. One reason is it's able to support a maximum weight of 400 pounds. Even if you don't expect to do heavy lifting, it's better to have leeway after you start your workout program. The BD-61 gives you the chance to do strength training using the cable system. It provides a high max. weight of 400 lbs., which is quite high and allows for a wide range of fitness levels and exercises. The high pulleys and low pulley provide you with a wide range of exercises you can do. Each set of pulleys can be used for different kinds of exercises. It's a good idea to research the different exercises you can do with each of the pulleys. The BD-61's user can get a full cable crossover machine workout thanks to various features. There's a pair of cable pulley systems that offer high value. Other features include variable rotation angles/side and 17 adjustable positions. This adds value to the home gym. You can use one cable crossover machine instead of multiple pieces of exercise equipment. It offers more bang for the buck. The Pull-up Station is great for doing bodyweight exercises like pull-ups and chin-ups. These are both outstanding upper-body exercises that work the arms, shoulders, and back. You can even do different variations to target various muscle groups. This Valor Fitness unit provides more smooth workouts due to the carriage system that glides smoothly on the tracks. This results from the double bar track. The result is an ideal amount of resistance being applied during each exercise. Plate storage is another key feature that makes it easy and convenient to store your standard and Olympic plates. This prevents the need to purchase a standalone storage unit, which adds to your total cost. Another feature is the 1-year warranty for cables. There's also a 3-year warranty for the frame. This is quite generous but adds value since the frame is one of the most important components of the equipment. Another perk of this unit is it's quite affordable vs. other home gym models. That's greatly due to the BD-61 being primarily a cable crossover station. If you don't need to do tons of exercises using one piece of equipment, then this is definitely a good option. These crossover machines are ideal for working the lower chest muscles. These, in turn, are critical for supporting the back and shoulder muscles. You'll also get optimum results since this equipment is designed for these specific exercises. You also have the option to bolt the home gym to the floor. Hardware is bundled so you won't have to buy it separately. Iron Company was one of the first companies to offer fitness equipment solutions for domestic/international customers. The company was founded 20+ years ago in 1997. This home gym features tubular steel that's 1-inch diameter and chrome-plated. This unit using cable crossover machine parts offers high durability via the nylon pulleys that are fiberglass impregnated. There are also sealed ball bearings, which also add extra durability. Meanwhile, the cables are sturdy and flexible. The 19-strand cables are aircraft rated at 2000+ pounds of tensile strength. This is the ability of a material to withstand loads, so it's critical when selecting exercise equipment. A key feature is the rear stack covers made of protective steel. This is a key safety feature that adds to the unit's overall safety. This Iron Company unit contains two 150-pound weight stacks with increments of 10-lb. plates. This allows you to add weight when your workouts are getting too easy. When following a workout program, it's important to add weight efficiently in order to maximize your strength/muscle gains. The two stacks also allow two people to do workouts at the same time. This provides more versatility and makes workouts more efficient. The Functional Trainer helps you train the way you move. This pulley machine lets you train in this manner whether it's the way you move playing sports, working at your job, etc. You can perform a wide range of exercises with this Functional Trainer. The cable columns provide high-end flexibility. In fact, you can do 70+ exercises. These include different exercises to boost coordination/balance, and build strength. That's due to some key features. They rotate 180 degrees so you can more easily achieve full range of motion when doing your workouts. You can also train at any height due to the 30+ height positions. A key feature of the Bodycraft HFT Home Gym is cable columns that are independent/adjustable. It adds value to the unit and is one of the key features. You can get ultra-high smooth action due to the 75 lbs. of resistance in increments of 5 lbs. when the increment weight is lower this provides a better range of motion. So getting the best results sometimes results from good form rather than lifting heavy. You can use the unit's storage hooks so you can neatly organize/display your accessories. This keeps them within arm's reach, so they're more functional. This product is bundled with a warranty. This helps protect your investment and components like the frame and parts. Make sure to read the terms & conditions to learn what's covered by the warranty. Different details add to the aesthetics of this machine. One of the big plusses of this home gym is you can install it against the wall, in the corner of the room, etc. This optimizes the use of space. All of these items add value to the Functional Trainer. Since they're bundled, they can also save you a small fortune you'd spend to buy all these items separately. The G1S offers strength, durability, and power. Meanwhile, the home gym is quite compact and has a small footprint. Body-Solid uses high-quality components including cables, pulleys, and upholstery. This adds value since there's less chance you'll have to replace such items sooner rather than later. In other words, just about everything has been revamped for this new version. The contoured/adjustable seat pad can help you stay as comfy as possible using this home gym. It's a small yet critical feature to boost the overall comfort of the home gym. You can do a wide range of exercises with the G1S including 40+ exercises for strength training, trimming, and toning. This allows you to get a full-body workout using one machine. You can also ditch your pricey gym membership. One key feature is the DuraFit pads that offer lumbar support. This, in turn, provides optimum comfort and helps prevent lower back pain. This, in turn, can boost your workout sessions and keep you as comfy as possible. The EXM1500S offers lots of features. It's space-saving, easy to use, and requires no cable changes. These features boost the unit's value. When selecting home gym equipment, it's critical to look for such features. They include small home gyms and newbie weightlifters. These factors can have a big impact on the equipment's effectiveness. Body Solid offers a lifetime warranty on everything including cables, pulleys, pads, and even frames. This feature is only offered for in-home use. It's still an outstanding offering that protects your investment. The 160-lb. selectorized weight stack is a key feature for performing 40+ different exercises using one machine. The GS1 also features a high, mid, and low pulley. The pulley system makes it easier to do a wide range of exercises. It's also a plus over other home gyms that have fewer pulleys. Each station includes bronze brushings that are self-lubricating. They include pivot points that are biomechanically accurate. This results in shaft rotation that's friction-free. This provides just about everything you need to launch your workouts with the EXM1500S. Why is that? These are items you'd likely purchase anyway, so it's a plus when they're bundled with a home gym. For example, the different bars can work different muscle groups. The Straight, Lat, and Angle Bars focus on different muscles groups yet help give you a full upper/lower body workout. Bowflex is a brand of fitness training equipment that's sold/marketed by Nautilus. The company is based in the US state Washington and was founded 30+ years ago in 1986. The Bowflex Blaze is built to last. This helps to protect your investment and reduces the chance to upgrade sooner rather than later. The Bowflex Blaze has all the features you need to meet your strength/fitness goals. The key is to pick the exercises and weight that allow you to work gradually towards those goals. The Blaze Home Gym gives you the opportunity to do 60+ exercises. This provides a full body workout using one piece of exercise equipment. You can also use one of 7 workout regiments that are trainer-designed. This is a plus since it makes it easier to customize your workout to focus on cardio/strength exercises, upper/lower body, etc. You can also customize your workouts with the multiple pulley/cable positions of the unit. This provides more flexibility and makes it easier to customize your workouts. There's Power Rod resistance of 210 lbs, which can be upgraded to 310/410 lbs. This adds more flexibility since you can upgrade the unit as required. The bench folds and includes wheels. This provides easy storage, which boosts the portability of the unit. When picking a home gym the portability/storage are some of the main issues to take up. Yet another feature of this home gym is the price range. It's in the under-$600 range so you can save big bucks vs. other home gyms that cost thousands of dollars. The money you save can be used for other priorities like workout gear. Does the Bowflex Blaze have all possible bells & whistles available? It doesn't, but it offers outstanding value for the price range. The sliding seat rail allows you to do leg presses and aerobic rowing. It's a plus since you can get in a full-body workout and focus on strength/aerobic training. A Lat Bar and Squat Bar are bundled with this unit. These are popular and effective exercises that can help provide a full body workout. The unit also features 3x hand-grip/ankle cuffs. These features boost the functionality of the home gym since they provide better ergonomics and support. Both are important to get in the best workout possible. The Lat Tower is an excellent accessory for building your back/shoulder muscles. Since it's bundled with the unit, you won't have to purchase it separately. So there you have it! If you're looking for home gym equipment for an excellent upper-body workout, then a cheap cable crossover machine is one of the best options. It's especially effective for working your pecs. We've reviewed some of the top advantages, features, and workouts for these machines. They're an outstanding addition to any home gym. In addition, we've looked at some of the top products on the market so you can choose wisely. Regardless of which one you pick it will help you select the best cable crossover machine. Cross over to a better workout!